The Third Annual Josephine Devlin Charity Memorial Challenge took place in May 2013 at The Rope Walk, High Street, Newry. Josephine's brother Gerald Devlin with family members organised the charity match, which as always was well attended. Gerald and the Devlin family would like to thank everyone who attended the match and everyone involved for their fantastic support. 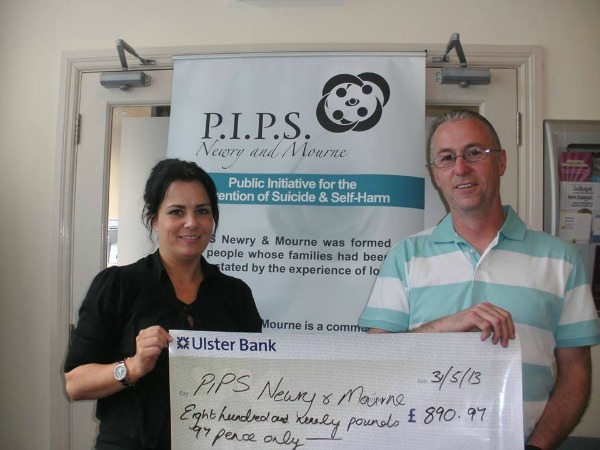 Presenting the cheque FOR £870.97 to Olivia McShane from PIPS N&M is Gerald Devlin. 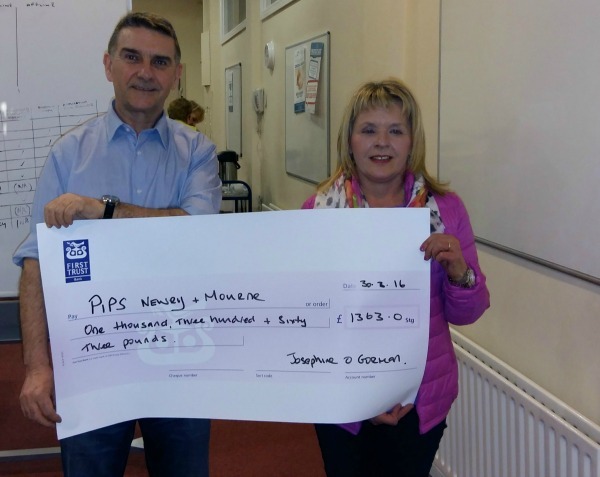 The amount raised was donated on behalf of Josephine's family.